Our two little Yorkies have acquired a terrific thirst for the great outdoors. My daughter took Mozart along with us on a walk, and then later Cricket, and the rest is history. We can’t bring both dogs out at the same time because we have only ONE collar and one leash. And the collar is Livvy’s. She was visibly upset when she spotted one of the dogs wearing HER collar… but sheesh! she hates it and practically threw it away! Anyway, it’s getting too cold for the dogs now (Yorkies are very skinny and have thin fur). 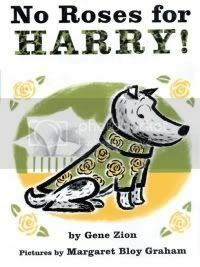 My daughter wants us to get some cute doggie sweaters for them– you know, like No Roses For Harry. Although, these dogs had better not shred their sweaters! I have seen the prices at the local pet store, and yow, those things are pricey! Buy.com has a much better price (no surprises there). Regular prices at Buy.com are better than sales at the pet stores… although Buy.com has lots of stuff on sale regularly, too. Look at these ADORABLE doggie duds! They even have little booties for dogs, LOL! LOL That monkey costume is awesome!